Are you traveling to Las Vegas? Well, if that is what you are planning, we have the options for you. You do not have to worry about where eat, drink and even sleep. 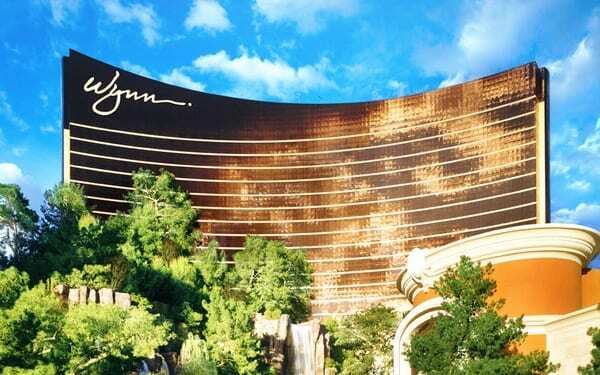 Wynn Las Vegas is the answer. · Number of Rooms: 2700. · Location: The Strip, Las Vegas. · Physical address: 3131 Las Vegas Boulevard South, Las Vegas, Nevada 89109-1967. This hotel that stands in a 45-story tower is the place to be. Wynn Las Vegas is home to many people. The place is housing both travelers and residents. What is more is that this is the venue you can find the only golf course. That means, if you love playing golf, do not go elsewhere. It is easy to locate the hotel from almost any corner in the Strip. Walls are all glass. The operator is using over 110, 000 flowers to create different sculptures. It is in this building where you can find life-size carousels and hot air balloons. Both the interior and exterior decors are awe-inspiring. You can expect to see high-end mosaics, white hues and right levels of shimmers. There is, however, something that you may not like. As such, you will have to wait for long. You need to complete a thorough checkup. Before you get in the facility 30 minutes will be down. Soon afterward, the vicinity becomes clear to you. Some people who visit here say that it feels like being in a large city. The kind of city they say is a big city with huge and magnificent buildings. Maybe the other thing you will not like is smoke. Above all, this is not the first hotel of such as stature in Las Vegas that you will see this. Although it doesn’t cause any big problem, this is what you are likely to see. But if you are busy playing games, dining or even resting, you may not feel it. Hotel rooms are spacious. Those that overlook the north offer a very peaceful environment. The interiors are very bright with marble bathrooms. The tower suites or Upgraded Tower suites offer private check-in. Besides, it is in these rooms that you will get breakfast each morning. There is also a private pool for those who choose the Upgraded Tower suites. For other ordinary rooms, there are enough amenities. Some of the amenities are for the entire family. You will get high-end entertainment from top DJs, La Reve, and musicians. Are you hungry? Wynn Las Vegas has some of the world’s best restuarants . You can get ready meals. Alternatively, you can place your special order. Chefs will be glad to prepare your meal. In total, there are 13 high-end restaurants. Chefs in these restaurants prepare a variety of meals. You can get Asian, American and Italian foods. These are not the only types of food you can get here. It is a good thing to mention that you will get everything here. There are nightclubs, restaurants, gaming, golf course, pools; spa and many more. Do not forget that there are several stalls. From here, you can do all your shopping. Wynn Las Vegas is a one-stop center for whatever you need.